Alligator's ultra lightweight i-LINK (Inter-Link) compressionless control system is suitable for gear and brake systems. It comprises of small alloy tubes (similar to Nokon's) that simply click together to provide a light weight (27 g/m) compressionless cable housing outer. But as well as function, they also look trick and are available in anodised red, blue, black and gold and silver. The system also includes a polyethylene liner that completely covers the entire inner cable from shifter to mech. 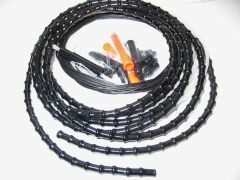 This provides the perfect UK weather-proof cable system. 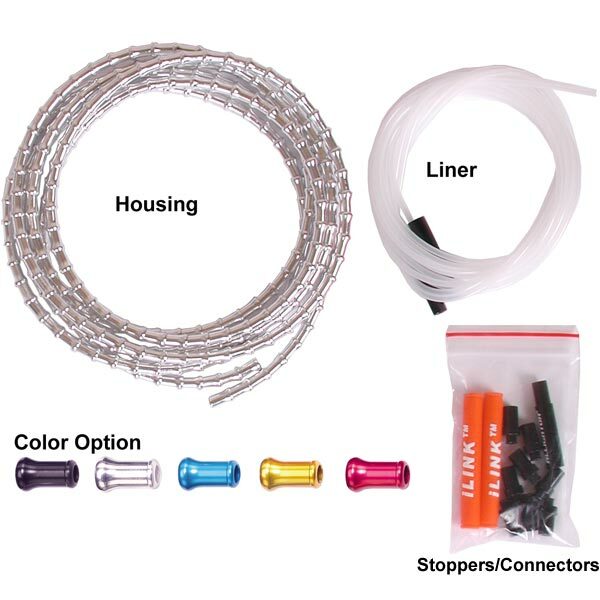 The kit includes enough outer and inner liner for front and rear cables, PTFE coated inners, all the necessary ferrules and stops, and two neat rubber tubes to prevent cable rub around the head tube. Weight: ~100 g for the complete uncut kit. 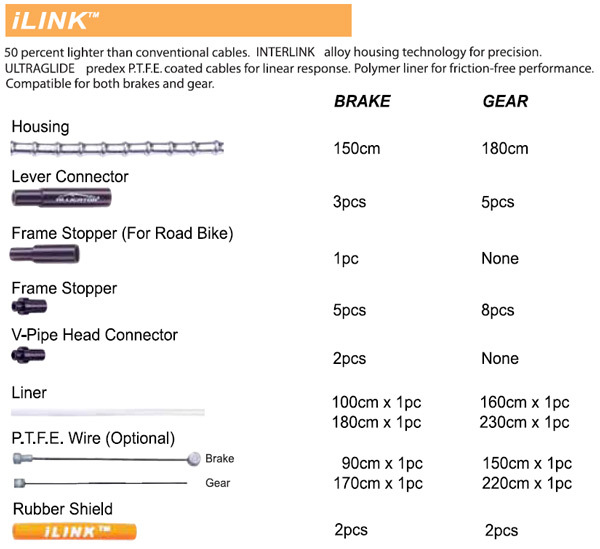 Alligator i-LINK Brake Cable Set (Sealed) 5 mm Great product but frustratingly vague and badly written instructions.